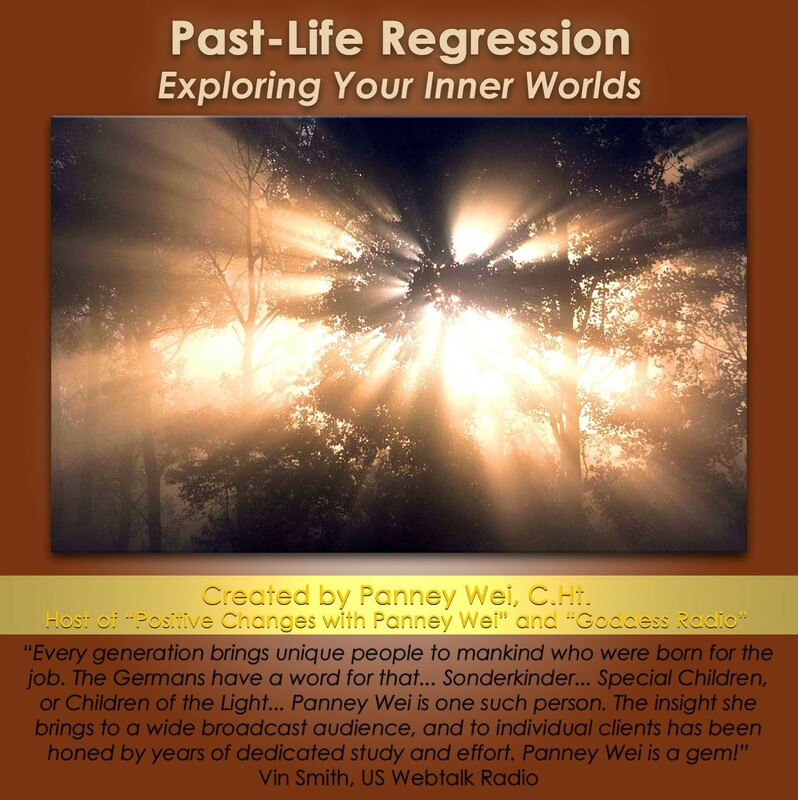 Welcome to the fascinating world of Past-Life Regression! Memories are said to be stored from the beginning of time up until the present. The subconscious mind is not limited by imposing boundaries of logic, time, or space. What is healed in the past, can, as a result, heal the present, and therefore the future. Past life regression can be used as a valuable tool for therapy, self-discovery, and for allowing an individual to recall experiences of the past to help you gain a deeper understanding of who you are, discover your past-life gifts, and deepen the levels of the mind. On this audio, Panney Wei helps you relax with a beautiful meditation so that your subconscious mind can reveal its ancient secrets, so that you can move from the past into the present, and into your very bright future!